I can't believe it's already Wednesday. I'm a day behind since we traveled home from Thanksgiving on a Monday so it most definitely feels like a Tuesday. If you missed yesterday's #GivingTuesday post make sure to check it out because I'm hosting a fabulous giveaway for a holiday necklace. 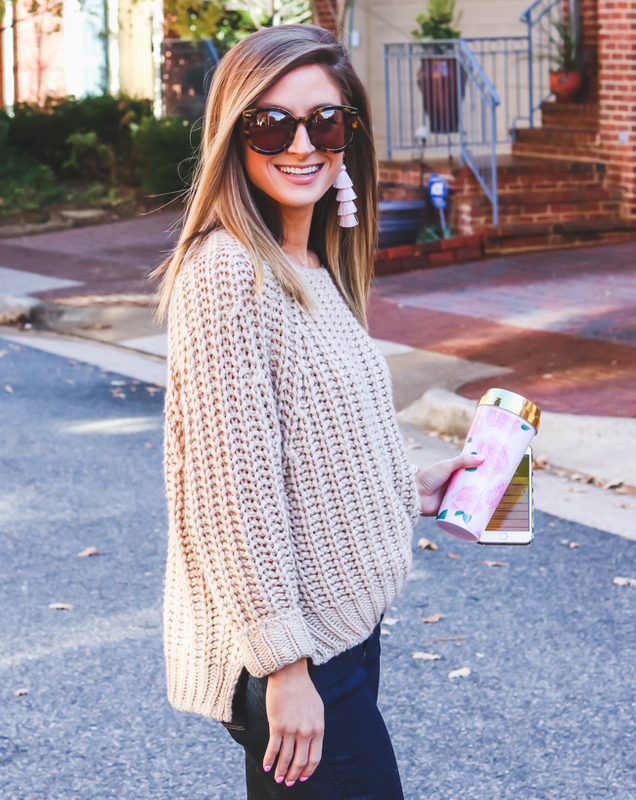 I've been loving statement jewelry lately, like my earrings included in this post. Perfect for the holidays! 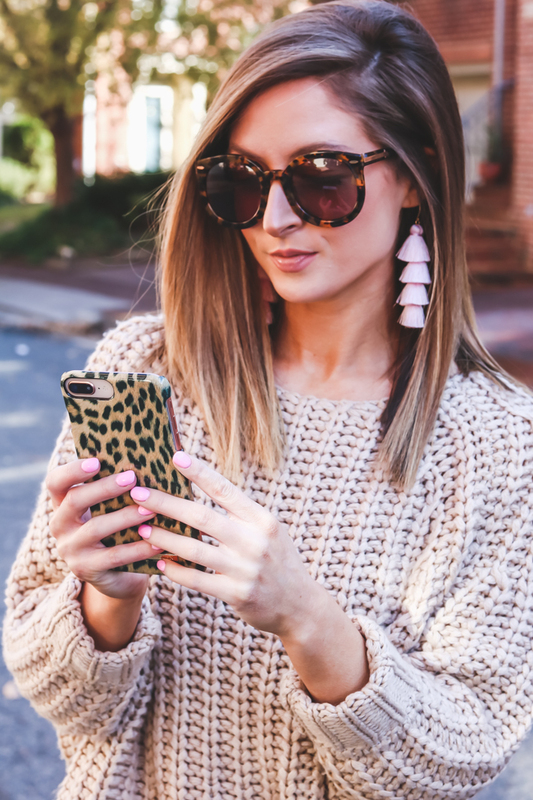 And speaking of statement... how about this leopard phone case?! 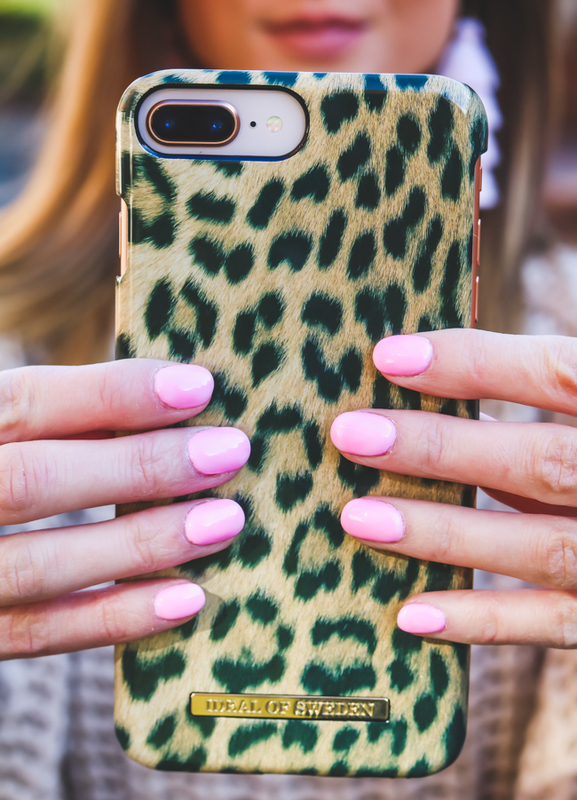 I rarely change out my phone case but I couldn't help myself when I saw the leopard print. It's such a sleek design... not at all bulky which is my main complaint with a lot of cases. It makes using your device easy and it's oh, so chic! It's not pictured, but I also received a pink clutch case that I've linked above and below. It's SO cool! It contains card slots on the left side and your phone is magnetically held in the middle. It even comes with a case in case you don't already have on from iDeal of Sweden that is designed to magnetize. They actually won an award for the design! Use the code USFALL for 20% off! My sweater is a recent favorite and you've probably seen it before because I've been living in it ever since I received it. It's so comfortable and I love the small slits on the side. It's perfect for the cool fall weather and pairs perfectly with dark wash jeans, like the ones I'm wearing above by Mott & Bow - a new brand I just discovered. And don't forget a comfortable pair of shoes! The mules I'm wearing also come in black and are less than $25. Have a wonderful Wednesday and stop by tomorrow for Gifts For Your Guy! Don't forget to enter the iCrave Jewels GIVEAWAY below! oh my goodness your sweater looks so incredibly cozy! I normally don't spend all that much money on sweaters but lately, I can't get enough of them!